DocuShare connects diverse users and content with your organization’s systems so employees, customers, constituents, and partners can efficiently access, share and process business critical information. "Latest version of DS is great"
I like how neat and clean the home page looks now. I also like the favorites feature. The addition of drag and drop with the ability to drop more than one file makes the DocuShare Drive almost obsolete. Sometimes when searching the collection, I get more than what I have asked for. I find this product simple to implement and administer. The drag and drop feature is fantastic. With this new feature, it makes the DocuShare drive almost obsolete. I find the creation of users easy and can give them a generic password to change. However, if you need to "reset" a password, you do not have the ability to make them change it, you need to instruct them how to. I also find that it is impossible for me to keep up on the "clean-up" making sure users delete old or obsolete documents. We are using DocuShare as a digital archive. It makes it nice for our districts to give view access to auditors to find documents to audit as opposed to bothering a staff member for the information. Thanks for your review. We're pleased that you like the clean look of the home page. Our developers and engineers are always looking for ways to improve DocuShare, even simple items, and with that, I have a note in to them to see if there is a way to refine the search function. Keep in mind that you will get better results using the Advanced Search function over Quick Search. Xerox's DocuShare support team has been outstanding. We've used them to build us custom workflow routings, reducing the amount of time it takes the users to create the routings as opposed to creating the workflows from scratch using the native ad-hoc routings. Steps in the custom routings are based on groups tied to Active Directory so the code does not need to be updated as people come and go from positions in the company. The database structure is difficult to try to understand. This makes trying to build reports against the system cumbersome, though Xerox will build queries into the system as a paid customization. DocuShare has been a great product for us for over a decade. In our environment, it has been very 'hands-off' administratively over the years. As would be the case for document control in most if not all manufacturing companies, the drivers and owners of the system are the quality department. They have far more work than the IS department, but that's based upon the work of managing the content - the burden of QA would be there in any document control system. As you would imagine - DocuShare is our document control system. It allows us to easily prove that we indeed do have that control during audits. We can set the auditing to be extremely verbose, giving the ability to provide traceability on any document or user. The necessity to have a SmartDocTravel server in order to be the go between the Xerox MFP and the DocuShare server. Should be able to do all of this with one server. Maybe the new version has this capability but I just don't know at this time. If you are thinking about purchasing DocuShare I would compare it to other products such as Toshiba's Docuware. We recently had a demonstration and I have to say it has more functions like the Print directly to the Toshiba printer which in turn will file it electronically without ever having to scan the document. Electronic Document Storage. Easy to drill down and find archive documents via the text search function. "Long time user, customer, and value-added reseller/integrator"
DocuShare is easy to figure out and use, even for the advanced features. It's easy to integrate with other applications and operations. We use the drag-n-drop interface, DocuShare Drive, and content intake quite a lot. I use the Email Agent just about every day to send and file documents at the same time. The search features are excellent. I've been wanting a sync program to work between my PC and DocuShare, like the simple file sharing offerings have. Talk to someone who uses or has implemented DocuShare in the manner you intend to. Skim through the documentation and datasheets for the add-ons. We keep all our internal documentation and account information here and use it to a limited degree to provide information about our products and services for public access. I like that I can use this to do just about anything that I need in my line of work. I can scan and shrink or enlarge items, collate and hole punch, staple large booklets, I can't think of anything this doesn't do for me. It's easy to troubleshoot as well because the xerox machine in itself is pretty complicated. It also fits well with the Applied system we use and lets our office be completely paperless as far as customer files go. The machines require quite a bit of maintenance and when one is down, our office really misses it. I love all that they can do, but with the expanded technology, it means they aren't easy for us to fix and we have to call up our maintenance plan quite often. Yes, if you have a large office and need to share customer files, this is the way to go. We can all share data with each other with the touch of a button. it's stored for easy access for retrieval for all. And it can be opened in many formats. The search functionality is the greatest part of DocuShare. We have a lot of documents and the range of subject matter is huge so the ability to search on various and multiple options is a great time saver for our staff. I like DocuShare Drive however we have been having issues with it especially when using Excel spreadsheets. We have been using DocuShare for almost 20 years and the ability to store and retrieve documents in seconds is the greatest benefit that we have realized. As a municipality the wide range of subject matter and information that we deal with on a daily basis makes DocuShare an essential part of everything that we do. Hi, Bill. Thanks for being a long-time customer! We appreciate you taking the time to submit a review and letting others know the benefits you and your staff have gained with DocuShare. I've let our engineers know that you've had issues with DocuShare Drive, though, so they are looking into it. We look forward to continuing to make your tasks easier and more efficient. "In-depth review of the new version rollout of Docushare"
The UI and ease of use are much better now with the new layout. We did have some issues when the new version was initially rolled out, but now we have a better system overall. Easy access to documents. Convenient location to store and retrieve Work Orders and Test Data Sheets. Easy to navigate, the menus are really easy to find and understand. I am not a regular user and did not get trained "how to", but I have been able to manage the system. I am not a regular user, so I really can't comment on this. But as I get to use it more as system admin, I find how it is used. Records management and training records. They are all in one location, even though it is not the "Official records" we are still able to control and mange the records for the entire group functions. Location, location, location! Thanks for sharing that DocuShare has enabled you to keep your records in one location and made it easy to navigate, manage and control them all. We hope you enjoy the other many benefits as you become more familiar with DocuShare. "Impressive growth in recent times"
I'm glad to witness Docushare setting up new benchmarks for the industry. Many of the projects that I've worked with has Docushare as the system in place for document management! It would be great if we can integrate custom solutions under the umbrella of docushare. From what I've been hearing, the api is very rrstrictive in terms of what sort of customizations it can allow. That is, thinking of it more of a technology rather than a just a product. Due to a global economy in the technology age, the increase in the employee growth in varied geographical locations means that we have to be more efficient and smart in how we manage their documents and associated metadata. A lot of docushare's customers fmfi d this to be very true. Thanks for helping us reach those benchmarks. To keep it going, I've passed on your input regarding integrating custom solutions. If you're not already using Xerox DocuShare Flex, look into it - www.docushare.com/about/flex. It's great for global business and on-the-go employees. I love how easy it is to use and share documents from one computer to the other. Everything is right at the tip of your fingers. It doesn't matter if you are trying to share things with a coworker or moving from one computer to the next everything is right where you need it to be. None this product is fast and easy to use. Everything is easy to use and there are tools to help right at there. You don't have to go searching for help and depending on others to get the help and knowledge that you need. Give it a try it will be well work it for you and your company! Easy assess! No matter where you are you are able to assess whatever you need. Hello and thank you for the great review. We appreciate you taking the time to let others know how easy DocuShare is to use and the ability to get help on the spot. All the best to you and your company! Its capability to manage content easily and user is able to do full text search with it. The document which are old or used rarely can be archived and can be called back at time when needed. As this is a web based application/ service, content can be accessed easily anywhere when required with security. This application/ tool is good for large organizations but is very expensive for small organizations. Also, an organization need to train staff for using DocuShare as it is a bit difficult to be used by naive user. If you are a medium to big organization you should go for DocShare for maintaining your large unmanageable large data files in any format. It helps in keeping data secure and also change old hand written files to digital files in no time. Its latest version is smart and has new feature of content process exchange which is really helpful for big organizations and that makes this product better to use. As a service based company, we deal with providing solutions to different clients and our work environment is agile. So, to keep track of all the documents, which changes frequently with time, this application is useful. Also, it is easy self installing virtual machine and a great repository to keep document and save system's memory. It proved really helpful in maintaining large employee data of our company need. Easy to install and easy to use. Find your document in 1 click. There is no other product that can find files so fast! It is not important that you know where the file is stored. DocuShare is complete plug and play in half a day. There is also the DocuShare drive for users who want to use an easy option for upload files direct into DocuShare collection, this is also with the drag and drop option. The speed in which you can search for keywords..
Not sure if their is really anything I dislike. Fast searching through documents, ability to save multiple versions of the same document, routing of documents for approval, easy to use security. "Easy to use tool to manage docs." It helps managing your docs in a hierarchical way so that look up is easier. Other one of the best features that I generally don't find in other similar tools is the API availability. Plus they have a good web interface with quite intuitive flow. Support could be better. Though they organise files into sub directories I still find a need of having a search bar which would make things a lot easier. It's a good tool to have given you've to work around a lot of documents, manages them quite nicely. Would highly recommend. In our company a lot of things are uploaded from docs to DBs and vice versa. Considering the web interface and API availability it's a very useful tool to have, cuts down a lot of trash work and lets you focus on main things. "Great for accessing documents on the web"
That we can keep a gold copy of documents like policies and procedures that are linked on the website and allow for uploading a new revision without having to redo links on the website. Our main frustration is that we use LDAP to authenticate and would like to be able to create pass keys or single sign ons for staff, but staff have to login specifically to DocuShare even after they have already logged into the intranet. Maintaining a document repository that allows both external and internal access and allows for public and private documents that area web accessible. "User friendly for administrators and users"
Docushare is easy to set up and easy to use. The user interface is intuitive for our staff. They are up and running with minimal instruction. The ability to include comments for each version is really helpful as the comments are displayed in the list of versions. At first glance, the web interface looks outdated. However, the features and functionality is solid. Technical phone support is frequently of an international source, which makes it challenging to understand at times. Docushare helps us save time and frustration by providing a full featured central location for all of our shared documents. "DocuShare: Best Kept Secret in the ECM market. " Extremely reliable, intuitive operation, low cost of ownership, extensible, easily expanded and it is flexible enough to handle cross-business platform requirements. Lacks multi-tenancy capabilities precluding it from being a service bureau platform. It is the lowest TCO solution addressing a myriad of business requirements. It is very easy to operate and support as a horizontal solution to major business component requirements. H-R, student onboarding, payroll, A/R & A/P, pharma regulatory reporting, financial services … application processing, broker transfer, client self-service, client on boarding ... and, more. I like that it's easy to log into and doesn't take long to learn. I don't think it organizes documents very well. I don't use it often, so it's fine for a few, but I think it would be challenging with a lot of documents. Docushare allows several of our offices to work on a document together without having to worry about which version we're working off of. "ECM Reduces Paperwork Storage Requirements"
We chose Docushare as our content management system for several reasons including, web based interface (no client required though one is available), robust search engine and price point. With Docushare we have completely eliminated internal and external (IronMountain) storage needs. It also speeds up the document retrieval process for departments like AP and AR. Previously a request from a client or supplier would necessitate a trip to the filing cabinet or internal storage facility. These delays have been eliminated by the search function which allows the user to retrieve a document based on a keyword, invoice number for example. Our centralized AP function generated on average a bankers box of invoices per week. Now they all go into Docushare automatically through the use of a bolt-on called Smart Document Travel. Believe it or not the implementation removed a physical safety hazard by eliminating the flow of 110 pound Banker's Boxes to and from the internal storage facility. The built-in work flow system leaves something to be desired. Though you can set up and save work flows for reuse, the flows themselves lack the ability to return a document to the previous step or originator. That is, the person approving the document can reject it, but in order to correct it and reissue you need to create a new flow or add to the existing. Xerox does have a more robust work flow system but we found it overkill for our purposes. Inexpensive ECM solution, excellent support structure. Lowered the cost of storage, significantly improved document retrieval speed removed some physical safety hazards. Team collaboration, document storage, task management and workflow management. Deleting a document or file is not easy. I wish they could be deleted by simply clicking delete. It is a heat tool for document management and ease of retrieval. Also great for collaboration . Hi. Thanks for your review. We appreciate any and all feedback as we're always looking to improve our product. I really like how user friendly DocuShare is. It was very easy to learn the program from day 1. I also like that DocuShare is a one stop storage option for electronic documents. Searching for documents wasn't always easy. There were no predetermined formats for organizing documents within a file. Having all electronic documents in one place has been a huge time saver and is a very efficient way to not only store but also find documents. Being able to create different case files has been very helpful also. "I find DocuShare easy to use." What I like the best about DocuShare is the simple folder structure. This helps with the organization of documents. When using the Desktop client on Windows you are not able to include any of the custom metadata properties defined for a folder or document type. Before implementing DocuShare ensure that you have completed a thorough fit-gap excercise and sent multiple staff memmbers on training. We have been able to store invoices and receipts via OCR scanning with DocuShare. This has minimized the need for physical storage of paper documents. Hello. Thank you for your review. We hope you and your team have successfully finished training and realized even more ways besides scanning that DocuShare helps save on storage, time and money. Docushare is a professional application very flexible, very general and very easy to use. Docushare is easy to install and do the maintenance and support. Docushare can be used in all sectors of activity for paper documents dematerialisation and document management. The main problem is the management of office documents (modification of word and excel files, management of outlook mails). All our customers are satisfied with docushare for document management. "Good but needs better interface"
Setting up the initial structure was not easy. Once set, do not find that it needs to be changed. Wish they had templates for setting up users. Currently, each user is setup separately. Document control and a central database for documents. We use this at work every day. Great location to upload files for everyone on the team to access. It is very simple to use and upload files. Easily can download files and have version control as well. Sometimes it can be very difficult to find a file and you have to go through a lot of search results to find what you are looking for, unless you're very specific with your search criteria. Benefits are that everyone on the team has one location they can upload files. "Nearly a dead product folks!" Our group bought Docushare from Xerox via a Xerox office equipment vendor introduction. We liked both the MFP and Document Scanner ability to make our office enterprise paperless and office workflow streamlined. The system had a nice, visual interface for document delivery at client desktop, and the web portal looked very service-able and sharp. The montlhy cost our Xerox supplier came up with was just managable on our current business lease, so we pushed forward with it. Well, now we dislike the entire system. Workflow designs we implement with the Xerox tech and guides rarely work long-term if at all. The web portal has a headache with each new version of I.E. so we switched to Chrome, but that presents other issues. The system does not have a good content search engine, and they want nearly six figures to put in a good one for the enterprise system, and the foldering/archive setup, now that we've seen other good ECM systems in the field and at tradeshows, makes our system look pretty bad by comparison. Recently, we got a breakdown of our business lease. 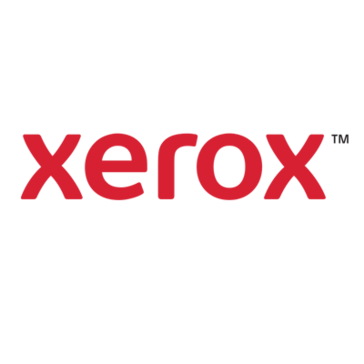 Turned out this Xerox supplier had kept us on an unusually high monthly pay rate, even though all of our copier and printer rates had decreased by about 60% !! They moved in the Docushare cost to maintain the high monthly cost we were paying, and this thing is super expensive for an ECM system that does not work half of the time, and has shallow, if any, support when you need it! The storage is not well-managed when you get into the 3-figure gigabyte count, and they keep on on these awful Documate scanners, which are not even made by Xerox, as they'd like you to think, but by a company out of Japan called Mashuscita. I mean they can scan, but I put one up against both a Fujitsu and a Kodak, and my Documate came in dead last in performance, just like our MFP devices, WHICH, I found out, once we get our scanning on track someday, we can reduce by about 80% across our company offices, because when it is all scanned, you don't need that hardware anymore! Maybe that is why they keep Docushare malfunctioning, because you won't need any Xerox hardware anymore if their software worked right, or well or something better than what we have now. Xerox partners are dumping it like hot coals, so I'd say, "Don't go there." "Good at what it does and a better cost than many alternatives"
It is simple and to the point. We need to keep purchase orders, etc for 7 years, and it does that and flags documents that need to be deleted to keep in policy. No complaints. Software does exactly what is needed. Our vendor has built scripts to automate uploads of documents to certain collections using the Windows Docushare client. This makes use of Docushare so much easier, and almost fully automated. Document retention. We need to keep purchase orders, etc for 7 years, and it does that and flags documents that need to be deleted to keep in policy. Docushare was very user friendly, as long as the user has a logical idea of how to set up the database. Any user needs to keep in mind it is a database. I really do not recall many dislikes of using Docushare. It is very similar to an electric filing system I use currently at my present job. Treat this as a task/program, the administrator needs to act like a program manager. Collaborate with your co-workers/users of the database. Invite feedback, conduct live presentations of how your idea will work for the task at hand. I used Docushare in my Six Sigma Project while I was employed at Raytheon. It was the only tool provided to convert the legal department files into a legal electronic filing system. Although I did not stay with that employer long enough to earn my Six Sigma certification, I thought Docushare was a good tool, and it even provided security. The staff in the legal department was adverse to the idea for years, but I think if the developer of the database uses logic and communicates that logic, invites feedback from users, the Docushare database is efficient and convenient. It's ease of programming and use. It makes business life so much easier. It could have better search capabilities but I rarely had any issues with it, at all. It makes working with a team so much easier and more efficient. When we very first implemented the product, the CEO gave me call one afternoon. He was a commercial property manager with a dozen different properties. He's directed bookkeeping to pay a donwpayment on a bill the week before. all he knew is that it was for carpet, he wasn't even sure which owner within the medical condo association would have paid it (we managed several of the individual condos within the building as well as the association itself). In the past, I would have taken up to a half hour, searching through all of the physical files to find this bill relating to carpet. With Docushare, I just opened it up and typed in the phrase 'carpet' and looked for the most recent document. Bill found, problem solved...in less than a minute. What a time saver! Great support from your Canada support center. Everyone I spoke with were very knowledgeable about the product. At high document volumes (2 million +), the system becomes slow and difficult to use. Determine if your users will want a web-based solution or if they want windows integration so it acts as a network drive. We saw a wide spread of expectations and comfort levels with both of these options. AP document digitization and long-term storage. "A brilliant Document Management system from small businesses to enterprises." DocuShare is a simple, highly customisable DMS, with excellent search facilities, flexible metadata and good support. Although it has been updated, the UI is still a little old fashioned at times. DocuShare is relatively cheap, however to get the most out of it, speak to a VAR to get it customised to your requirements. This should still keep the cost down. Internal company documentation, and some external access. DocuShare allows for documentation to be stored in an organised way which allows easy and searchable retrieval across the company. The accessibility feature is awesome. Great user experience, Enormous document storage capacity, and just simply easy to use. Finding or searching for files can be cumbersome but overall so far so good. Being to find files all in one or general location makes things easier. This definitely saves time and helps our team members view and update documents simultaneously. "Relatively easy to learn, some limitations"
Many glitches causing system crashes where you have to reboot & resend the documents because it loses some presets. Technical support is minimal at best. Many people can send documents at once and set up each file to print different than the last, if necessary, without having to reset before each print. "Simple but Elegant Document Management"
The only downside to the solution is the cost, but if the need is there, then the solution proves its worth! If you need a solution to store, manage and distribute your documents in a safe, reliable manner. I suggest Docushare! Security and sharing over the internet. Ability to share documents in a secure environment. Complicated for novice users and does not have a direct way to scan to the software. TAKE YOUR TIME INSTALLING AND READ THE DIRECTIONS WORD FOR WORD! What I like about Docushare best is document accountability. Lack of Eform Templates means we spend more time creating templates than we would like. Consult others that have implemented Docushare in different capacities. Process automation resolves delays in relaying paperwork/forms. "Mature system but can use more updates in UI and performance"
A mature system with many functions for our daily operations. The Integration with Outlook makes it easier for our users to move emails over. The Desktop client is also very easy to use. The Outlook Add-in is pretty slow in usage especially when you are moving many emails. The initial handshaking takes a long time. It is not intuitive to process the emails failed to move. There may be other newer system to serve the same functions. But DocuShare has been pretty affordable and stable for us. Use it as an company Intranet site to share documents. Also for departments to share their own documents/emails to collaborate. "Docushare was the answer to eliminating Filing Cabinets!" Docushare is very flexible in how you enter data. Scanning old documents into the system was easy and very cost effective. The search capabilities are excellent. When I first brought this system in over 10 years ago, it was new to everyone. However it soon became document central at the Clearwater Honeywell location. The training of how to best utilize the system was lacking. In retrospect, I would have required more understanding of what Docushare offered in cataloging documents. Most people generally set up a new system similar to what they are use to and this is not always the correct way or the best way to benefit from a new system. If you do not have an electronic library, then consider requesting a demonstration of Docushare. It has been in place for 10 years at the current Honeywell Clearwater location and has become integrated with our work environment. A problem we solved (over time) is capturing documents for projects all in one location, instead of on many different servers. 1. Old filing cabinets were removed as documents were scanned into Docushare. 2. More floor space was realized. 4. Different departments could access the project documents created by all without having to contact the appropriate personnel to find a paper copy. Simplistic interface, yet robust in what it can do. The files that can be shared appears to be virtually limitless in both type and size. Not as slick looking or robust as similar tools. This is not necessarily a bad thing (doesn't bother me personally), but may turn off more formal IT shops who prefer a more professional looking tool. If you want a straight-forward, decent looking document sharing utility for your business, this is a good one to consider. Quickly and securely transmitting time sensitive corporate documents. Quicker than many tools (and server doesn't crash as often). "My experience with Docushare has been excellent so far"
I love the ease and convenience of being able to digitally store and find my documents later. It's saved us so much time, effort, and storage space now having to hold onto the hard copies. I really cannot think of any dislikes at this time. The business problems we are solving is always have the backups to bills, important notices, and documents at our fingertips if it ever needed. There have been numerous times where a vendor has called telling us we did not pay a bill and I was able to jump into docushare and rattle off a check number. It's been great. "Manager of IT Applications & Training"
Windows Explorer Integration and the ability to use a File Explorer for managing documents. No MacOS integration. This would be a huge asset since there is an iOS app that allows retrieving documents. Consider how you would want to brand the product. Document management repository, searching within the content of files and the ease of managing document control, versions and checking in and out. Installation, administration and utilization simple and Fast. Easy flow of documents and many ways to access documents in DocuShare via the client, and the web. Some bugs when connecting to Microsoft programs like word and excel. There is not an easy flow from ie Word to DocuShare and vice a versa. Good product for Records Management. It solves waiting for paperwork and business images for advertising. We can just send them on docushare! Thank you for taking the time to review DocuShare. We are pleased that you like our product and are enjoying its benefits. We hope you find even more ways to maximize your business needs using DocuShare. Hello. I will pass on your comment regarding your dislike of using an asterisk before and after loan numbers. Our developers like to hear the good and the not-so-easy tasks so that we may continue to make Xerox DocuShare more efficient. Thanks for your time. It was one hot spot for all users irrespective of their departments. It reduced need of so many shared drives. it was all good except general some downtimes of servers. Docushare reduced need of shared drives. All departments could use one site for all their documents. Also users were able to secure their documents by sign on process and also using customised permissions. "Its a very powerful product and very easy to use"
There are currently no annotations and the workflow is a little complicated could be a lot more simple. "DocuShare ECM: affordable and reliable." DocuShare Xerox is a fantastic solution from small to big companies it suits everyone. Good things don't come for free, but it's totally worth it. Xerox DocuShare helps you find informations and save a lot of time. "Simple Solution for Enterprise Storage"
Easy to search and retrieve all types of important documents in a blink time. Document type extension search is little bit time consuming. It is good solution for enterprise level storage. Enterprise level storage made easy. * We monitor all DocuShare reviews to prevent fraudulent reviews and keep review quality high. We do not post reviews by company employees or direct competitors. Validated reviews require the user to submit a screenshot of the product containing their user ID, in order to verify a user is an actual user of the product. Hi there! Are you looking to implement a solution like DocuShare?